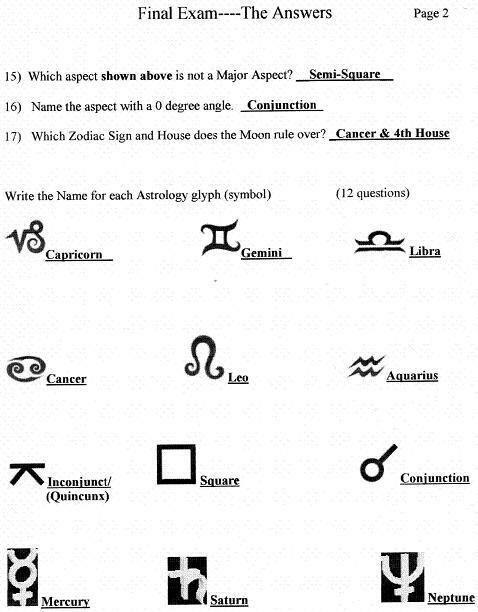 Here are the answers to the final exam. 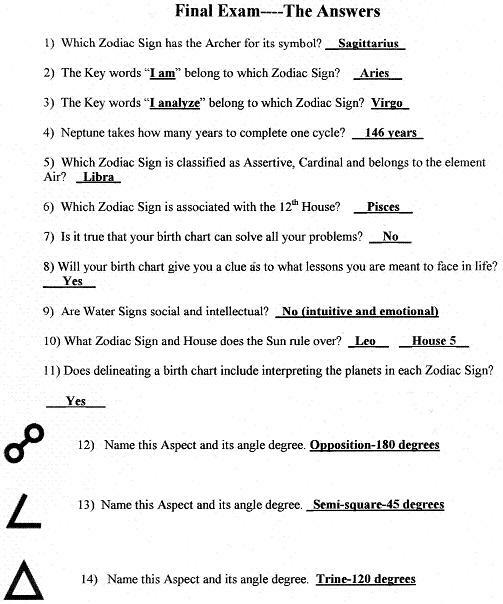 The last (Final Exam) task was to put all the ruling Planet and Zodiac Sign glyphs correctly on the chart as it would appear on a Natural chart. You were to also include the number for each house. Your chart should look similar to the chart below. So long as the information is accurately placed somewhere in the appropriate division you have it correct. Give yourself a bonus point if you included any sub-ruling planets correctly!